One of Purim's primary themes is Jewish unity. Haman tried to kill us all, we were all in danger together, so we celebrate together, too. Hence, on Purim day we place special emphasis on caring for the less fortunate. Give money or food, "matanot la'evyonim," to at least two needy people during the daylight hours of Purim. 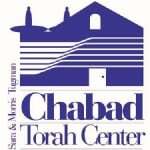 Bais Chabad will be collecting money for this purpose. At least, place two coins in a charity box earmarked for the poor. On Purim we give a donation to whoever asks; we don't first ask to check the person's bank statement. As with the other mitzvot of Purim, even small children should fulfill this mitzvah. Click here to do so now.